Srinagar, Jan 10 : The political experts and the educated youth in Jammu and Kashmir reacted to the resignation of record maker IAS topper, Shah Faesal from the country’s elite service, with both echoing mixed response over his likelihood decision to join mainstream politics. The resignation of IAS topper also evoked mixed response from the denizens on social networking sites but at the same time former chief minister of Jammu and Kashmir and National Conference (NC) Vice president Omar Abdullah welcomed him in the politics and Hurriyat Conference (M) Chairman, Mirwaiz Umar Farooq welcomed his resignation. “While as his joining the IAS did become a symbol of hope for many Kashmiri youth to compete for All India jobs, unfortunately his resignation has raised new questions on the relationships between Kashmir and Indian State,” Prof Wani told KNS. “In all likelihood, he is joining the mainstream politics, means that there is still era of hope for him and people of his thinking to fight for the rights of the Kashmiris within the constitution of India,” he said, adding that the very fact that he has raised issues related to the plight of Indian Muslims and also consistent attacks on political identity of Jammu and Kashmir State is sufficiently understandable. “We hope that all those who are concerned with Kashmir and its future, think seriously about the happenings in Kashmir. I think an ostrich type of an approach is proving to be dangerous in Kashmir,” he added. Referring to a query, Prof Wani added that suffocation and disillusionment is not only a trademark in the bureaucracy but it is also dangerously writ large over the politics as well. Meanwhile, the educated youth also reacted to the decision made by Shah Faesal with some welcoming his resignation while other termed it as ‘unfortunate’. Advocate Aamir Masoodi who practices at High Court Srinagar told Kashmir News Service (KNS) terming Shah Faesal as man of instability, saying that if he really wanted to serve people of Kashmir then he could he have served at the top positions he had. “I believe the reason he has mentioned for leaving the country’s elite service is appreciable but at the same time if he join the mainstream politics then the reason he has given for resigning from the top post will have no takers,” he said, adding that if he wants to serve the people then he doesn’t need power to prove it ground for which Mahatma Gandhi is the best example. 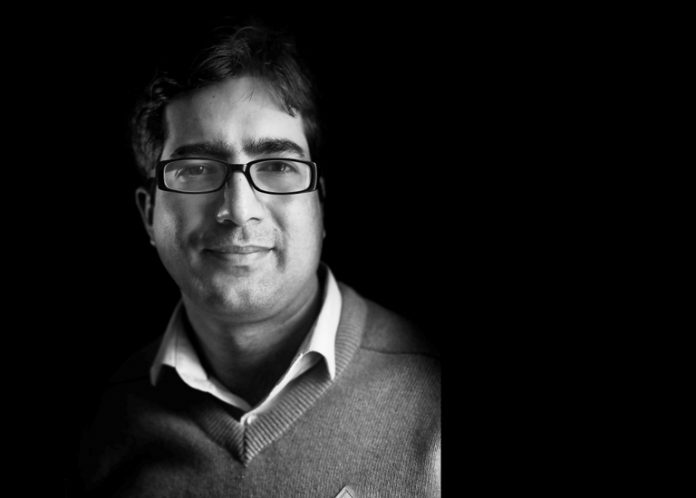 “Shah Faesal could have served as doctor, Deputy Commissioner, Director Education and other positions if he was really ready to do so,” Advocate Aamir said, adding that for him (Aamir), joining mainstream will be tantamount to working with those who are responsible for the killings in Kashmir. “Working under the ambit of Indian constitution won’t help him to fight for the people of Kashmir especially youth,” he said.